Savage Arms purchased the Stevens brand in 1920, and it has flourished in the firearms industry for decades. Stevens always had a reputation for producing economical but well-built arms, and that tradition continues today. Recent Stevens brand shotgun have quickly built a reputation for solid, affordable performance for everything from wingshooting to home defense in both 12- and 20-gauges. 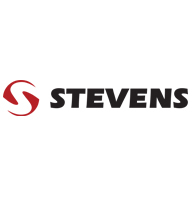 The Stevens product line as grown fast, expanding into hunting-specific camouflage models and inertia-driven semi-automatics, with plans for much more in the future.